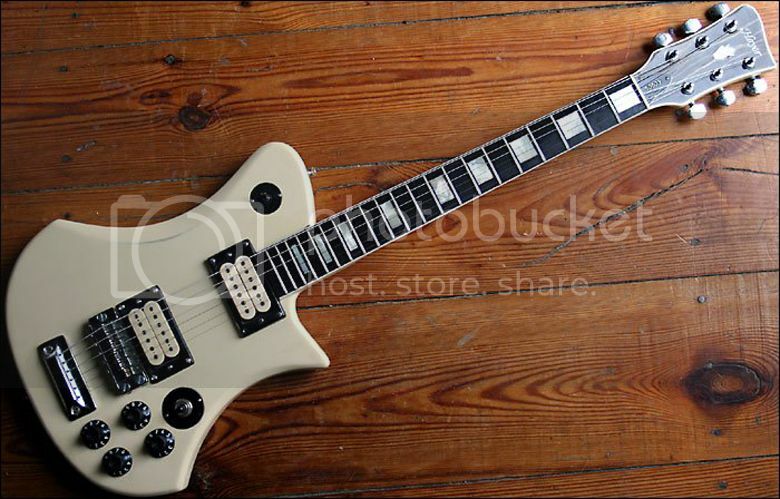 This 1970s German-made Hoyer 50603 has a body shape strangely reminiscent of certain Guild guitars (e.g. this one), and is one of those designs that I look at and say to myself, "Is it ugly? Is it attractive? I can't decide!" The guitar features a pair of DiMarzio Super Distortion humbuckers (as was fashionable at the time) with a volume and tone control for each and a pair of switches, one of which will be the pickup selector, but as for the other... Anyone out there know? Coil top or phase inversion, maybe? This guitar is currently located in Berlin, and is listed on eBay.de with a Buy It Now price of €799.